Kind of a crotch hazard, though! Why don’t they remove that iron bar there in the intimate area? 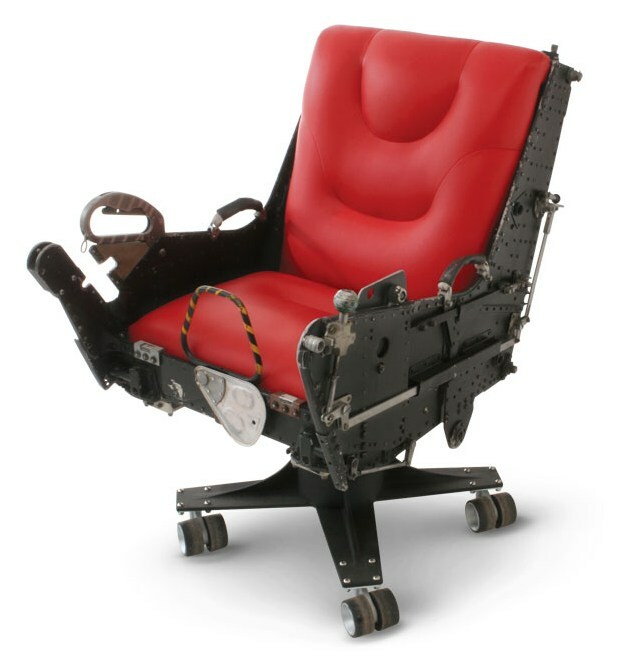 This great chair is actually a reclaimed cockpit seat from an F-4 Phantom. I think the cushioning is redone but the metal is all original. Very intimidating to your subordinates. I’d buy one but it wouldn’t fit with my decor and also the price is so high they can’t list it. Check out the other pictures of the seat here at Moto Art, or buy it if you’re insanely rich.